Ocean-front beach house with warm outside shower. Hang up your car keys and relax. Fishing, swimming, playing in lagoon in front of house. Kite-flying, Cricket, Touch, Badminton etc on huge front lawn. 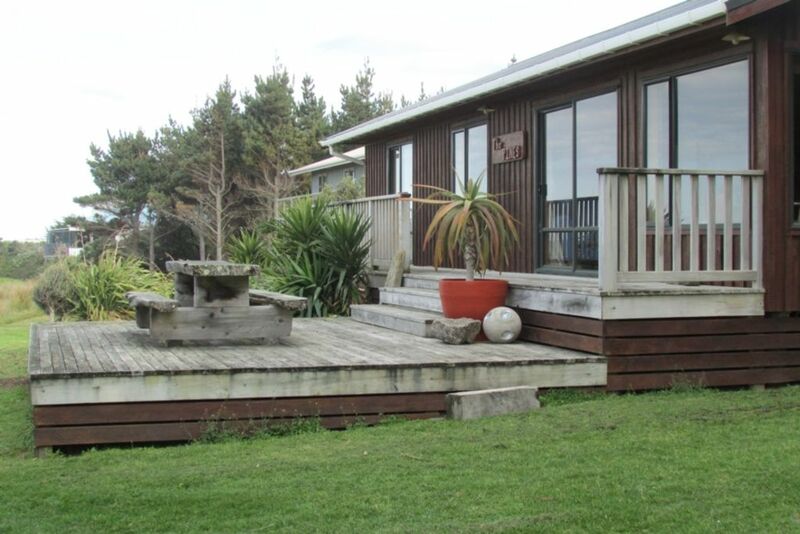 2 large decks front and rear for socialising or sunbathing. 2km to local country pub The Whakataki, for dining-in or Takeaways. Immaculate 9 hole Golf course and Tennis courts along from pub. 1. Bring your own linen including towels, sheets andamp; pillowcases. 2. House must be cleaned on departure. Cleaning equipment provided. 4. Smoking NOT allowed inside and accepted outside ONLY. 5. Departure no later than 12 noon. 6. Refundable security bond of $450 due at time of deposit. 7. Limited water usage as it is Tank water so it is precious, so please be considerate. Extreme overuse of water will result in extra charges. 2 Outdoor living/decks front & rear of house. Castlepoint Tennis club open to casuals. At golf club. Provide own linen. Sheets Pillowcases and towels. All other bedding provided. My partner and I had a great relaxing stay. Nice to escape the city and enjoy some peace and quiet. Great location and comfortable house. Our visit was spoilt by rainy weather but there was still enough to do and it was great that the beach and lagoon was so close when the sun did come out - the kids loved it. Comfortable family bach, perfect if you want to avoid the crowds - right on the beach which you can have almost to yourself! Also easy drive to Castlepoint itself.